Welcome to Amusements On Demand! 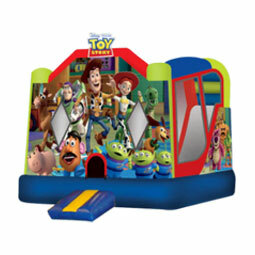 Thank you for visiting AmusementsOnDemand.com; We have the solution for all of your parties and events. With us on your team, this will be the easiest party you'll ever have! 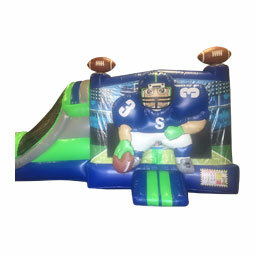 Amusements on Demand inflates the fun for your birthday parties, block parties, company picnics, and school & church carnivals! Free Delivery and Setup within our coverage area. 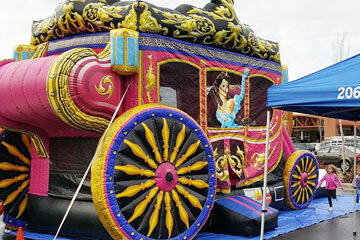 We have done over 50,000 party rentals in the Seattle area, Everett, Tacoma, Gig Harbor, Bremerton, Poulsbo and throughout King County. 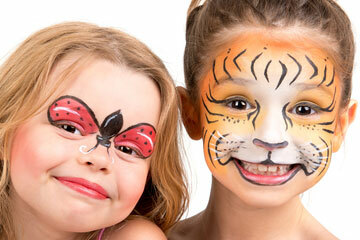 We want your party to be safe, memorable, enjoyable and fun for your entire family. 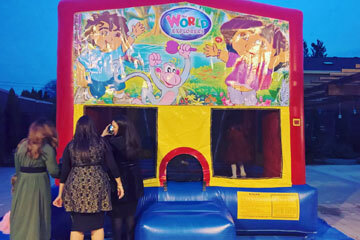 Bounce house rentals are America's favorite attraction at special events, school fun days, birthday parties and so much more. Amusements On Demand has a great selection for our Seattle customers in sizes, themes, and characters. See them all here! 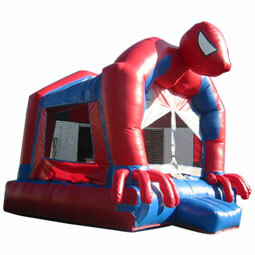 Combo Bouncers add a ton of value to your party rental with more fun packed into one unit. 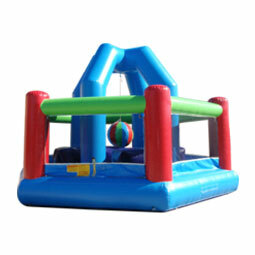 Our combo bouncers get their name from being a "combination of the popular bounce house and additional activities like climb & slides, basketball hoops and more! 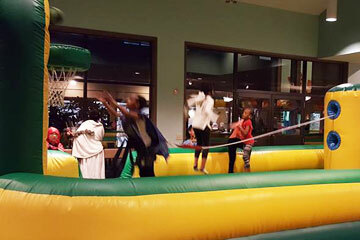 The inflatable Tavern brings the pub experience to its customers in adult bounce house form. 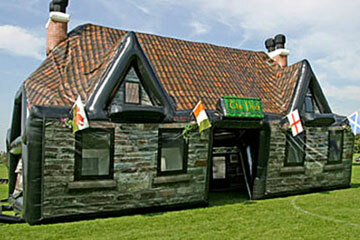 The inflatable tavern is made to look like an Irish pub, and we offer many other accessories to complete your event! Bring a taste of the old country to your event! 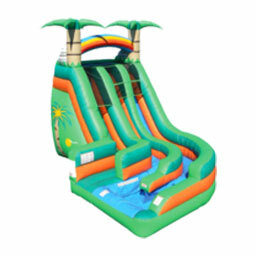 Mechanical ride rentals are a great choice to bring on the excitement in a big way to your event. 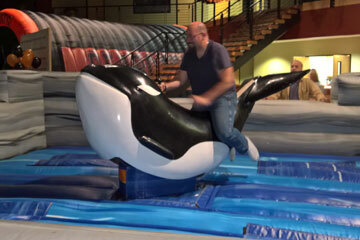 Choose from our wild mechanical bull, the wipeout challenge or our popular bouncing Orca! All our rides have the latest safety features and are annually inspected. Get your gang together for an awesome afternoon when you bring our interactive sport games to the party. 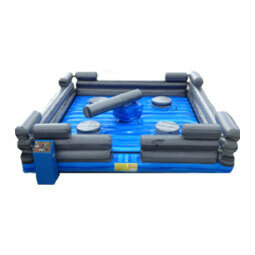 Bring your guests together in the spirit of fun and friendly competition with these exciting inflatable interactive activities. Basketball, baseball and much more! Adding our professional event entertainers can make all the difference in the world when you guests get to experience our face painting artists, Balloon Twisting, and Caricature Artists. These pros know how to entertain and engage your guest, some even get to take home some fun! 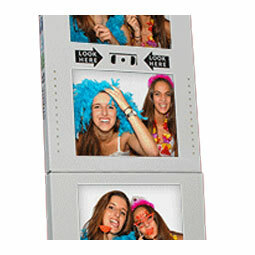 Amusements On Demand has the latest technology in photo booth equipment. 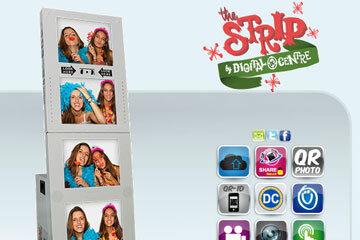 Attractive design loaded with engaging software that captures joy and memories. Perfect for class reunions, wedding receptions, family gatherings and company parties. Make memories that last! 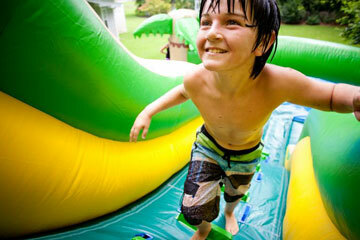 Water slide rentals are one of the most popular outdoor attractions on a hot summer day. You just add water and kids and you'll all set for a wet and wild time. All our slides feature the "no-jump" safety netting at the top of the slide that makes sure every one has fun safely! If you're responsible for the party planning, don't forget the fun food! Classic treats that everyone loves. 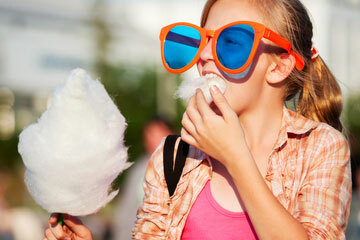 Fresh popcorn, sno-kones, cotton candy and much more. 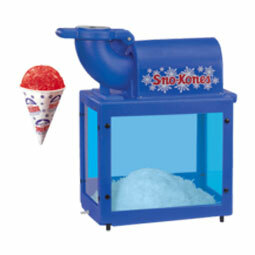 All our concession machines are easy to use and come with supplies where indicated. Check them out now!